This report provides information on hypervisor versions used in your infrastructure. The report shows the hypervisor version with the build number and the number of hosts on which the hypervisor runs. To improve host performance, enhance compatibility and enable additional features across the environment, VMware recommends that you upgrade to the latest hypervisor version. 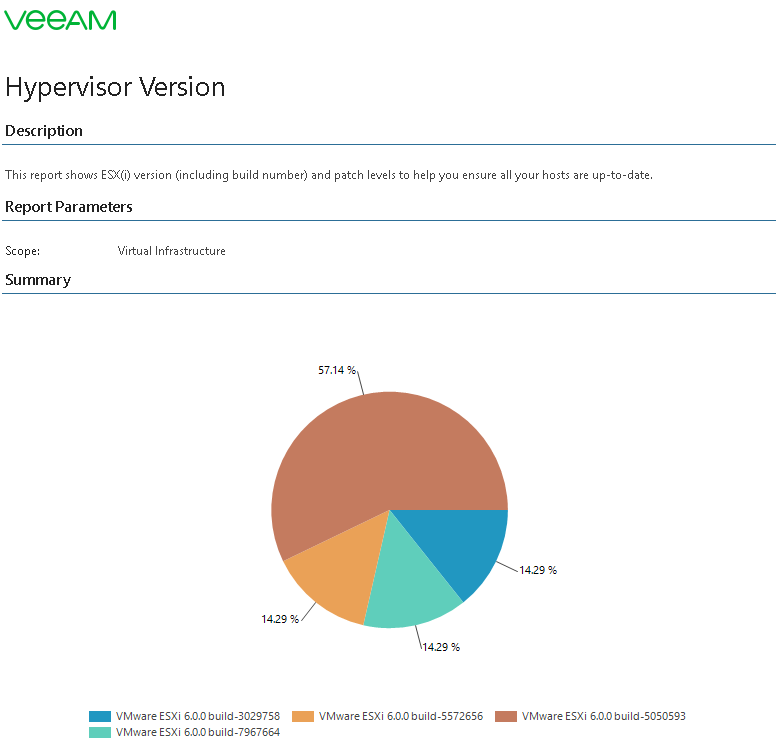 The report allows you to check hypervisor versions installed on your hosts, and make sure you run the latest available version. Session: defines a data collection session in Veeam ONE Reporter — a point in time to use as a basis to generate the report.